Do you feel pain or throbbing when biting? Does a section of your mouth feel particularly sensitive to hot or cold foods? These may indicate that your tooth's nerve chamber has become damaged, either by trauma or decay. The good news is that a root canal provides a simple solution to your problem, one that can save your tooth and preserve your natural smile. The tooth is anesthetized, eliminating pain during the procedure. 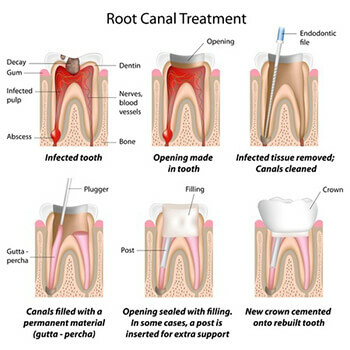 After an opening is made through the crown of the tooth, the length of the root canals is determined. Your tooth's canals are filled with a special material to maintain the tooth structure. The tooth is sealed with a filling. A crown is usually added for further protection. Although many people dread root canals, they're really a reason to smile. An unhealthy tooth gives you daily pain and may lead to illness due to infection. After a root canal, the pain will be gone. Without the daily stress and pain a damaged tooth can cause, you'll rapidly feel better and have much more energy. 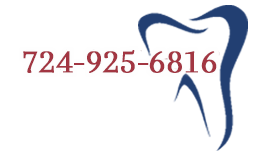 Call Dr. David Mondock today at 724-925-6816 or fill out our easy-to-use contact form. Let us show you how a root canal can give you a reason to smile!